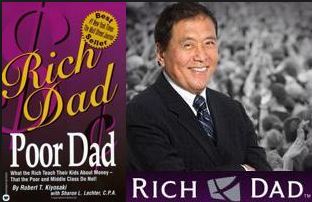 I'm not the biggest fan of Rich Dad, Poor Dad when it comes to application of his book's lessons in Singapore (such as how he defines a house as a liability when many Singaporeans have made money from their houses), but one can hardly argue against the value, not to mention popularity, of the book and how it has changed the landscape of financial education. 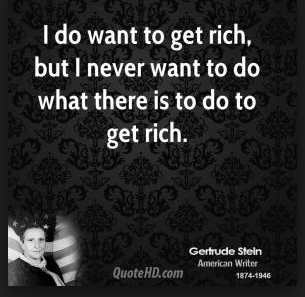 There are also a few fundamental truths in his book that I will always look back on as a reminder to myself in my journey towards financial freedom. I'm sharing my key takeaways from the book here for those who haven't yet read it. 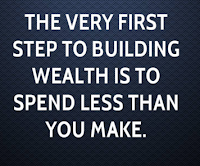 Truth #1: It is not about how much money you make, it is about how much money you keep. If we all had our ways, I'm sure most wouldn't say no to a job that pays more money. Investment banking has always been a lucrative, and therefore extremely attractive, field of work that many elites seek after - considering one can easily earn 5 digits a month in the job, who would turn that down? The problem is, most of us are limited by the economic forces of supply and demand. As much as we would love to have a high-paying job, the prospects of landing one isn't always in our control. In certain jobs where the money is fantastic, there may often be a couple of trade-offs that we may be unwilling to make. While we should definitely keep improving ourselves and seek better employment prospects, the easiest and most actionable task we can do now is to take control of the money we keep. 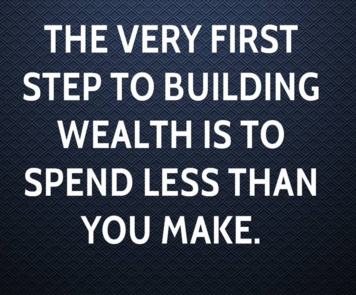 Spending less than what we earn is a key mantra for financial success, and we will do well to remember that. Truth #2: You need to become financially educated. All the scam stories we hear about should be enough to show us that it isn't always wise to put our finances and wealth in the hands of someone else...but yet even the most intelligent of people keep on making the same mistakes all over and over again. Why so? There's a simple answer for it - laziness! Many people want to become rich, but few are willing to do the (time-consuming) work it requires to get there. 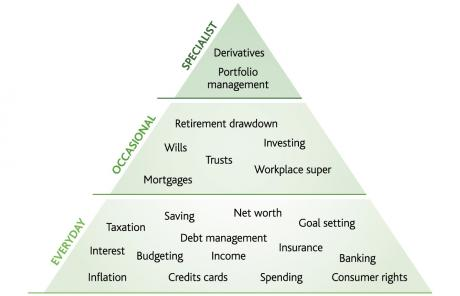 If you think that professional financial advisors are more knowledgable than you, you're only 50% right. The truth is, many financial advisors are in little control of their own money, much less be in a good position to advise you on yours. The tests that financial advisors are required to go through are not rocket science; I have friends who passed all the insurance exams just to prove that they could do it easily (while educating themselves about the industry at the same time). The Internet has levelled the playing field for normal folks like us to equip ourselves with financial information to make better decisions towards growing our wealth. You cannot always rely on other people to help you become financially wealthy - because ultimately, the best financial advisor is yourself. Aside from organizations like the Institute of Financial Literacy, financial bloggers like myself also share our key takeaways in this blog to help people pick up financial skills easily. So there is really no excuse for your lack of financial literacy. Truth #3: "You must learn the difference between an asset and a liability, and buy assets"
Most people are too focused on making money. What they should really be focused on is educating themselves on financial literacy. This is because while earning more money is great, you can never become truly wealthy without a sound financial foundation—and you certainly can't keep your money without it. One of the fundamental rules in Robert Kiyosaki's books is: "You must learn the difference between an asset and a liability, and buy assets." 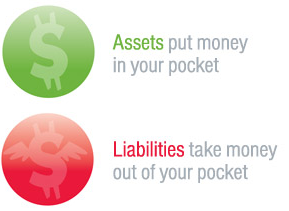 His simple definition of an asset is one which makes you money, while a liability is one that drains money from you. In his view, a house is a liability, but this does not entirely apply in Singapore's context, where many who have purchased a BTO flat have actually earned money from it. A savvy young family earned $440,000 in profits after selling the 4-room HDB flat they had bought from HDB in 2009 at BTO prices. In this case, their purchase was clearly an asset and it made them a ton of money. A car can either be an asset or liability, depending on how you use it and the type of car you choose to purchase. In a previous post, I've elaborated about why I view a car as a financial liability, but there are people where a car is an asset as it can help them earn more money (such as drivers registered with GrabCar who are actually using their personal vehicle to earn extra cash). For those whose car is an asset, the biggest value is that it saves time and convenience, but before you jump to buying one, first ask yourself if you can actually afford the costs of such convenience. With rising tuition costs, is an education an asset or a liability? It could be either, depending on whether your education can help you earn a higher salary upon graduation. More on this in a future post. but how much do you really know? How much do you NOT know? With Robert Kiyosaki coming to Singapore at the end of this month to preach about financial literacy and the impending stock market crash, a few friends have asked if I'll be attending. I won't be going this time, but what about you? He did not say a house is a liability. Rather, a home is a liability. Yes, BTO can make a tidy profit in the resale market. Then what? No more home? Where do you buy another? You probably need to buy another house to live in. How much profit will one actually make then? My personal view is that if your house ends up at a higher resale value than what you bought it for, that's a bonus. But many people sell that, take the profits, then UPGRADE to an even more expensive house. Hmm. Home with outstanding loan and without rental income is liability. Fully paid home is asset rich but poor cash flow. 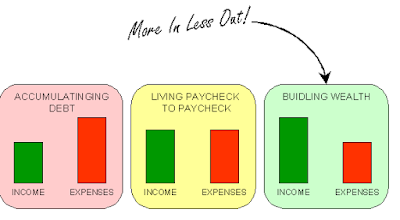 To achieve cash flow from home, one has to "down-grade". Exactly! :) the definition cannot be taken at face value, I think one needs to always consider different factors and contexts in evaluating whether something is truly an asset or a liability, as in this case. The apartment that we stay in should be considered a liability, unless we are able to generate cash flow from it via rental. Subsequent properties can then be considered an asset as they can generate rental or potential capital appreciation. Hi budget babe! I think what Robert Kiyosaki's definition of home being a liability holds true in Singapore as well. Imagine a buyer who lost his job after purchase of a condo, he will still have to pay for the loan/utilities. Hence, it is a liability. As other readers have pointed out, if one chooses to rent the home out, such that the rent covers the expenses per month, then it is an asset. And thats the beauty of the definition he provides. As long as the item generates more income than expense, it is an asset. The inverse is liability. Agree fully with what you say about cars. I think only grabcar drivers can say that their private car is an asset and not a liability. The example on education though gets a bit iffy. Personally I think that if one is still schooling then education is a liability (schooling expense > income). However, if one has graduated, then education is an asset (income > expense which is essentially almost zero after graduation). Hi there! You're right, but like what some of the other commenters have pointed out, a house can be either an asset or a liability in Singapore depending on the various circumstances. Of course, if one buys a house above his earning capabilities, or over-leverages in order to buy a house, then that would definitely be more as a liability rather than an asset. Find out how THOUSAND of individuals like YOU are working for a LIVING online and are fulfilling their wildest dreams TODAY.